Will you take vitamin K next? testosterone 100 points above minimum level! Like most of you I have watched the news and my heart goes to those that have lost loved ones, those that are without a home, and those brave men that are risking their life in trying to stop further radiation leaks. I have been speaking daily with Dr. Michael Kiriac whom experienced the Chernobyl disaster from both victim and healer perspectives. As victim when at his home 300 miles from Chernobyl, there was enough radiation to cause his two young daughters to shed patches of hair. As healer in that he had the opportunity to assist many people that were severely affected by radiation ills. Dr. Kiriac has since continued aiding some victims and their children sufferring from leukemia, anemia, epylepsy, and some glandular disorders. Last week on a radio interview, were my agenda was to share the overall health benefits of bio-algae concentrates, the host kept narrowing the topic to the Japan crisis. I understand why he did that, but what was going on in my mind was what about the ongoing health crisis right here with Americans? How many are walking around with a unsuspected tumor? We know that 50% will get a cancer in their lifetime? How many with poor circulation and plaque forming in their arteries? 30% that will die from a cardiovascular disease? How many with their brain decaying and slowing down? Alzheimer is sooner and 30% of baby boomers will get it? And diabetes or pre-diabetes? 30% are affected right now? Avoid the many poisons: herbicides, pesticides, artificial colors, etc. With these actions, you take charge, you raise your life force, you are the doctor, you will not need to depend on vitamins a, b, c, d, e, k, d, k, on mineral calcium, magnesium, iodine, iron, etc. And this attitude and lifestyle will keep you safe from pollutants, stresses, radiations and many more, that are affecting you right now in your backward and kitchen. You can feel vibrant and healthy and happy today and everyday. 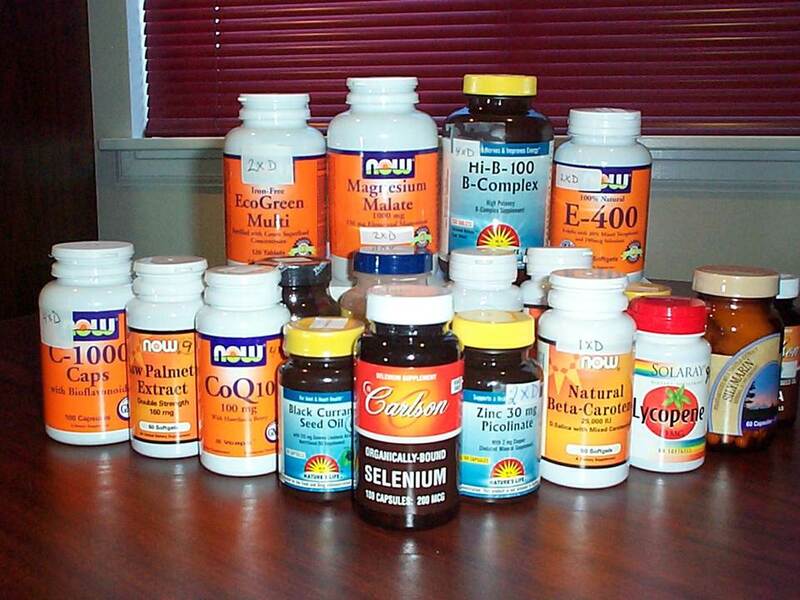 In 2009, in the context of The Martial Art of Wellness, I wrote several “debunking” articles about popular recommendation for supplements. I hope that it was helpful in your quest to simplify your supplementation. In light of the ongoing Vitamin D madness which’s furor has reached “national debate” status, and the surfacing Vitamin K discussion, I urge you to read those articles again. BioNews – December 2009 – Demythifying Supplementation! From what I have observed over the last year, I believe that Vitamin D was not scrutinized until recently, nor was it routinely tested for by your MD or ND, until the gradual “focus on vitamin D” became a hot issue and now a huge business. What happened since? From those tame advices to today’s loud command of: “Thou shall take a ton of Vitamin D in order to survive“. Today, regarding vitamin D there are no valid long term independent and empirical evidence to support supplementation, nor research that shows the safety in taking it in such large dose as per current recommendation. Those of a certain age remember earlier vitamin C messages (which made moguls in the sunshine state), followed by the multi-vitamin, and multi-mineral madness of the 70’s, how about the Vitamin E insanity of the 80’s, with its unfounded promises of solving all matter of joint, cardiovascular and even cancer problems? Off course we must take calcium and magnesium, iodine, iron, saw palmetto, beta-carotene, alpha lipoic acid, selenium. How about the CO Enzyme Q10, the baby aspirin, the B vitamins, let’s not forget B12, more recently the Omega 3, how about the all promising reservatol, and many more to come. And now you should add Vitamin K ! I never took any vitamin or supplement until 1984 at the tender age of 34. A well wishing MD suggested that vitamin E would help with my back pain and prevent future arthritis, etc. I bought his story and took a 400IU gel of vitamin E daily up till 2000. And by then I had added 22 supplements to my daily regimen! This happened when, by age 45 I began to feel more back pain, found myself easily gaining weight, had my first of many horribly painful sinus infection, noticed low blood sugar jitters by 11 am; so I started investigating supplements and then “hot/popular” anti-aging strategy (which consisted mostly in HGH – Human Growth Hormones and fortunately after a bit of research, I never took). I read dozens of books and scientific articles on various supplements. I would read the book ALA (Alpha Lipoic Acid), and started taking ALA. I read Syndrome X, and soon added selenium and saw palmetto, I read about antioxidants, and started taking large dose of vitamin C, licopene and beta carotene; and so forth until I had 23 supplements on my daily regimen. I think many of you will relate. Oh and by the way, my back pain, my weight and sinusitis were not getting better. All along, I had in the back of my mind how both my grand parents lived older than 90. Mom lived to 90 and dad 83, my mom and dad’s brothers and sisters lived to 90, a few past 95, none took any supplement other than fish oil in the deep of winter. I always remember when at age 65, my dad decided to lose weight and get better. He started an exercise program “The Nadeau Method” which consisted of repetitions of simple arm and leg exercises. Otherwise he took no med’s, no supplements; he just ate less. Ten years ago, after my failure with supplements, and after consulting with Dr. Michael Kiriac, I confidently stopped using any supplement. Since then I have only used whole food as source of fuel for my body. I also consume BIOSUPERFOOD as extra-ordinary fuel for my brain. I also apply myself at eating less, fasting and exercising frequently. The great Yogi Bhajan use to say “after age 36, a man should eat just enough for the brain, since by then our body has stopped growing.” That advice still serves me well. Whom ever told you that whole foods are depleted of nutrients is either misinformed or maybe trying to sell you a vitamin. Of course due to over utilization, herbicides and pesticides, our soil and their fruits are either polluted and / or less nutrient rich. But nobody said that there are zero nutrients. One must make best effort to eat “true” organics, buy from your local trusted growers, and grown your own when you can. There will never be a proper delivery of nutrients other than fresh whole foods. And by now if you think that supplementing man-made molecules isolated and separated from their whole nature, that you or someone else has elected to take, typically in large amount, and in combinations yielding unpredictable biochemical results, then I think you have been had by the vitamin marketers. 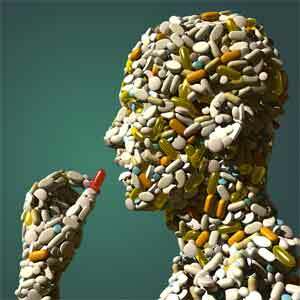 It is a fact in America that most adult and even children are more and more deficient in several important vitamin, hormone, mineral, etc. It is also a fact that after 30 years of increasing use of supplementation, that those deficiencies are not abating; with hundreds of millions of dollars spent on calcium supplements, the osteoporosis crisis is still raging; more people will have cancer, cardio vascular diseases will kill one in three, arthritis and Alzheimer are awaiting nearly 50% of baby boomers. And for most, the tendency is to entrust ourself to a doctor and go along trying to fix each deficiency, conditions, or their symptoms one at a time with a pill, a supplement, a device, a trendy diet, etc. I believe there is a better way. Rather than adding vitamin K to your list of supplements, I suggest another way. First you must stop what you know to be the reason(s) for the troubles. For most it is one of; overeating, food poisoned with herbicides and pesticides, white sugar, white salt, denatured milk, white flour, artificial sweetener, artificial coloring and taste; not resting, too much stress, no exercise, etc. I assure you that within days of giving this list a chance, you will have significant relief from pain, fatigue, depression, brain fog and much more. From there, you will be better able to address more serious and chronic conditions. Over the years of working with this common sense approach, I have coached many of my clients suffering from painful and hopeless conditions to reach good health. To this basic plan, I may add rational fasting, specific exercise program, meditation, dietary changes, whole-superfoods and always bio-algae concentrates. Many are enjoying a more vibrant and happy life. Regarding vitamin D deficiency, Dr. Kiriac related the following observations from his many years of extensive research. Dr. Kiriac explains that the bio-algae concentrates “awaken the genius within” (the hypothalamic-pituitary axis), resulting in better assimilation, utilization and elimination of nutrients from our food, renewed balance and stimulation of hormones resulting in better overall metabolic functions. 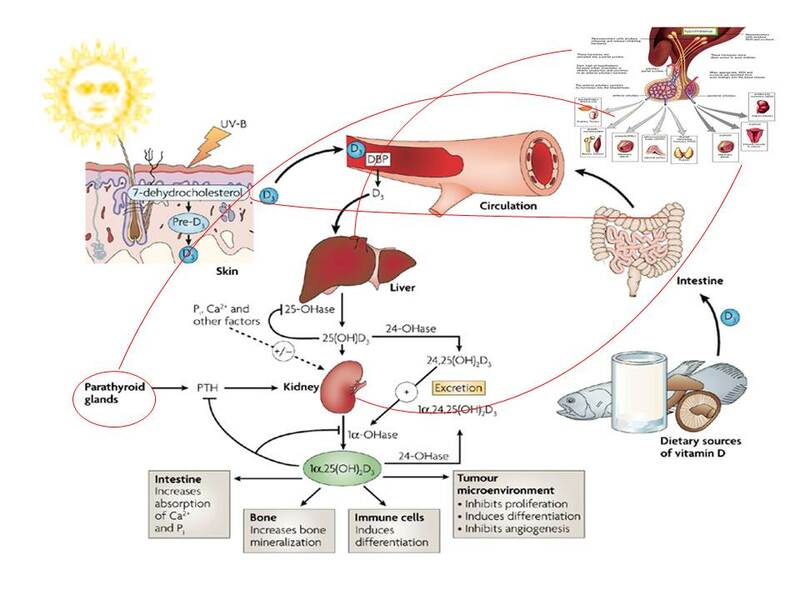 In the case of vitamin D, (misleading name as vitamin D is not a vitamin, it is an important neuroregulatory steroidal hormone that is synthesized by specialized kidney cells, and that influence thousands of cellular activity and genes), when consuming bio-algae concentrates, the hypothalamus is more vigilant at supervising the synthesis of this “as needed” hormone. Like many other endocrine dependant metabolisms such as; protein assimilation, calcium assimilation, digestive enzymes, blood sugar, pH, that of vitamin D, with aging may also become sluggish resulting in a marked deficiency. Amazingly, during the Soviet research, many other known deficiencies and their associated symptoms were also resolved when the animals consumed the bio-algae concentrates. Beside introducing bio-algae concentrates in our life, I believe that we must always strive for greater brain health. This can be achieve by removing the unhealthy conditions as best we can, by not overeating, by exercising, in eating an abundance of high energy yielding leafy greens, vegetables and fruits, in consciously remaining active in our work, with sports, games, hobby’s, learning, etc. In my opinion, bio-algae concentrates as an ally in our quest for health is a unique privilege.